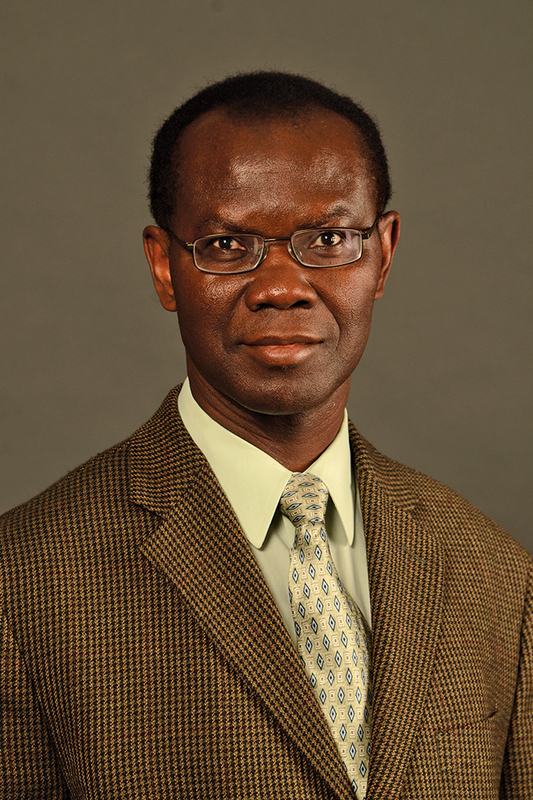 Dr. Benjamin Ofori-Amoah is chair and professor in the Department of Geography at Western Michigan University. Ofori-Amoah was born and raised in Ghana and started his professional career as an elementary school teacher. He taught high school geography and later became assistant registrar at the Kwame Nkrumah University of Science and Technology in Kumasi, Ghana. From 1983-89, he pursued further studies in the United Kingdom and Canada. In 1991, he became assistant professor of geography at the University of Wisconsin-Stevens Point and full professor of geography in 2000. In 1998, Ofori-Amoah served as the administrative associate to the senior vice president for academic affairs of the University of Wisconsin. He was chair of the Department of Geography and Geology at the UWSP from 2001-06. In 2006 he was hired as the chair of WMU’s Department of Geography. Ofori-Amoah is an economic geographer and a regional planner with expertise in economic development, location analysis, urban and regional planning, and geographic information systems. His research interests are in development theory, development planning, technological change and human factor development. He is interested in capacity building in Africa, with particular reference to higher education and technological change. He has led many workshops for new faculty in pedagogical and instructional technologies at KNUST, helped developed GIS curriculum at Makerere University, Uganda, and trained district planners to use GIS in local government planning in Uganda. Founding member of the U.S. International Institute of Human Factor Development. Member of the Association of American Geographers. Member of the American Planning Association.